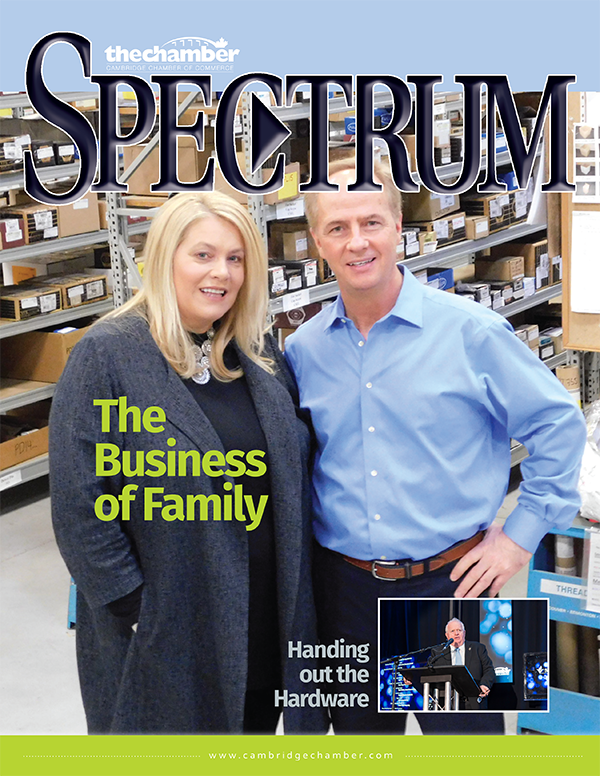 Our most recent edition of the Spectrum is now available online. 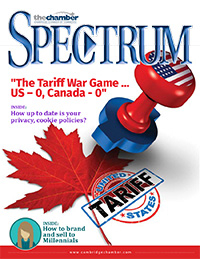 Do you have some important news you would like to pass on to the readers of Spectrum Magazine? Send us the details! 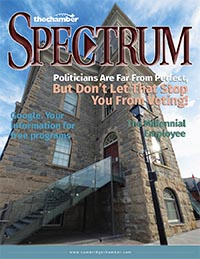 Truly the Voice of Business and the only Cambridge business publication. 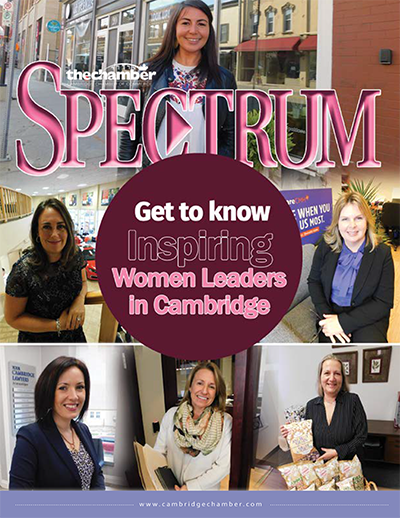 Billed as the Cambridge Chamber of Commerce newsletter but in a magazine format, glossy publication highlighting our Members, informative articles, new member listings, event calendar and reaches all Cambridge area businesses, not just Chamber Members. Advertising is exclusive to Members Only.